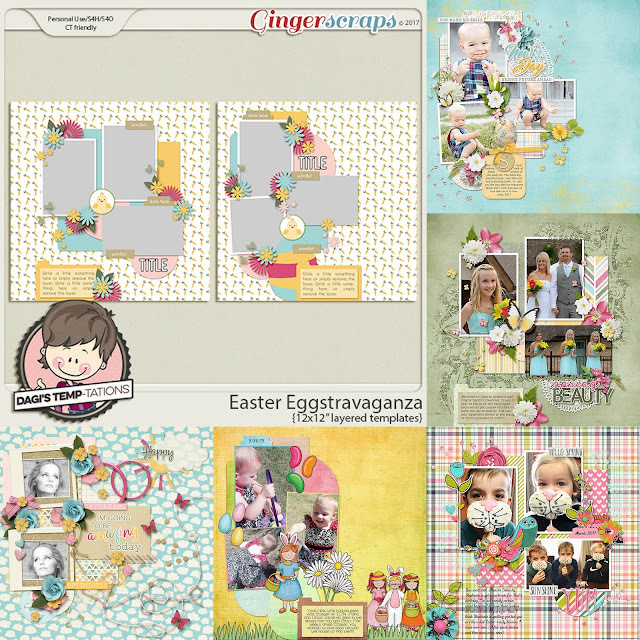 Scrap your Easter memories with Easter Eggstravaganza digital scrapbook templates by Dagi’s Temp-tations. 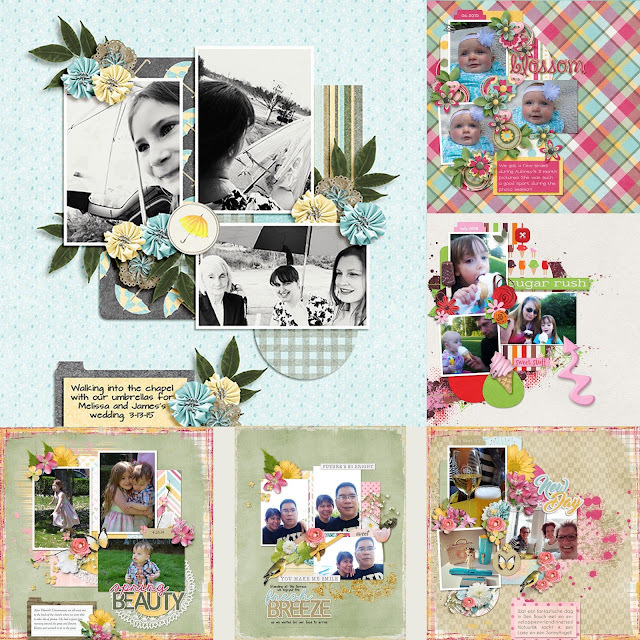 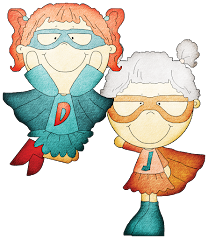 Fill the photo spots with pictures of Easter egg hunts, the kids with their Easter baskets or pictures of your fun family gatherings. 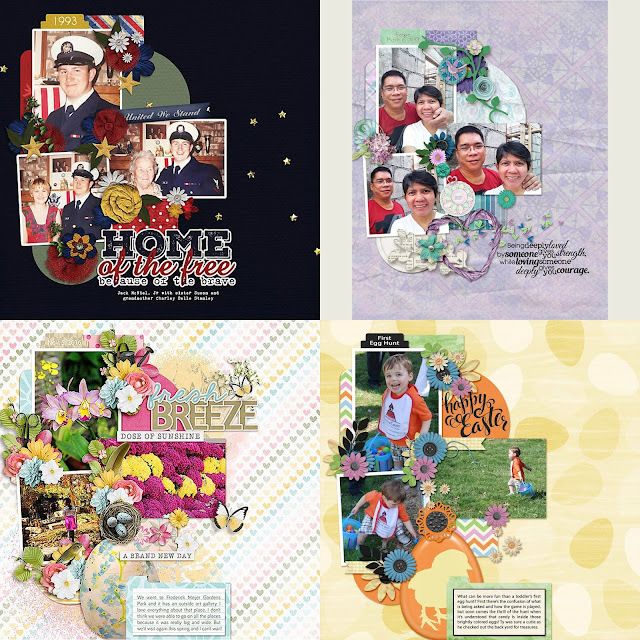 No matter how you choose to celebrate the holiday, Easter Eggstravaganza templates are here to help you get your family’s treasured memories scrapped in a flash! 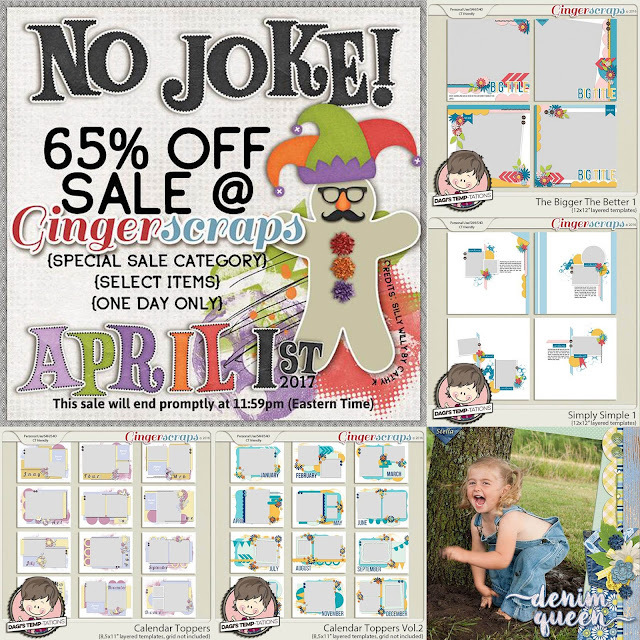 Don’t forget the April Fools Day sale!